If you're one of the old bloggers, you sure must know Laialy. A shoeaholic to the core, which made me more than curious to check out her shoes collection .Thankfully she accepted my requested to visit the shoe heaven headquarters ! 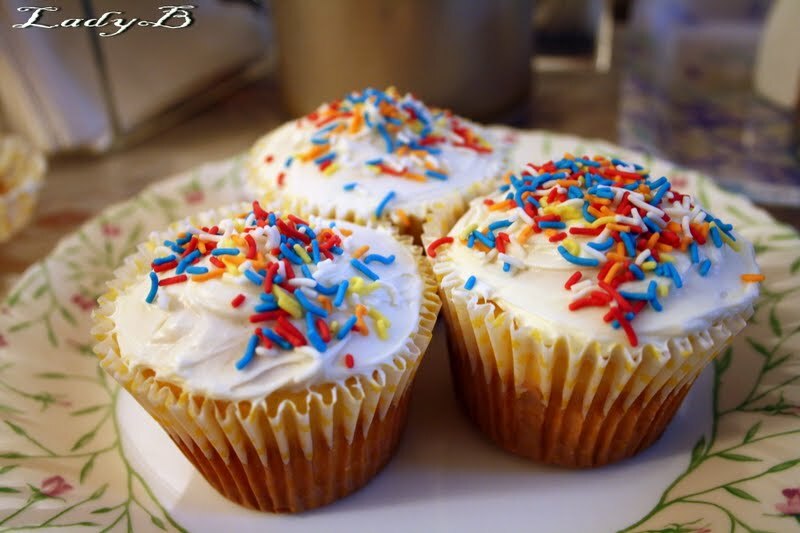 Last week I found my way to her house, greeted with those yummlicious homemade cupcakes we chatted for a bit before allowing me to check out her pretty shoes ! Jealous much? You haven't seen anything yet, keep on going ! Lovely collection of party shoes, I seriously wanted to put them on and run away ! 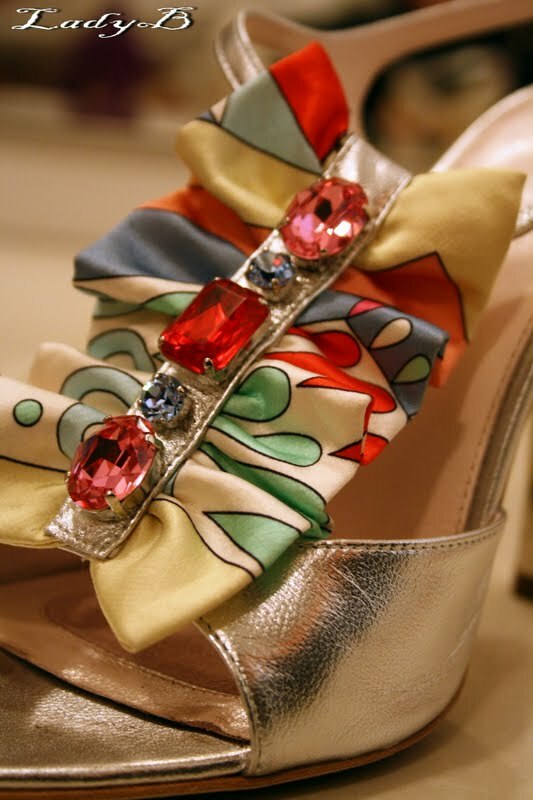 Closer look for the lovely details, the infamous Pucci Print and those cute jewel emblishment ! 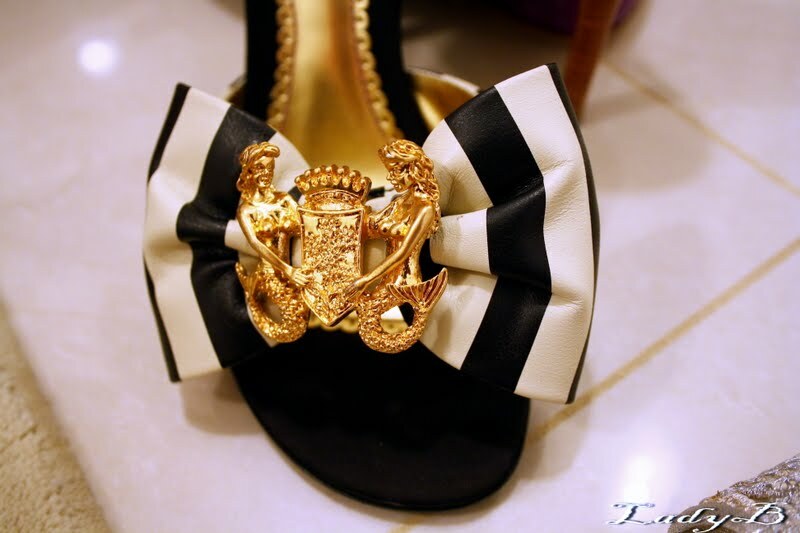 Satin Dolce & Gabbana pumps ! Casual summery jelly flats by Feraggamo ! I'm a sucker for black and white and adorned by this cute gold embelishement by Hale Bob ! 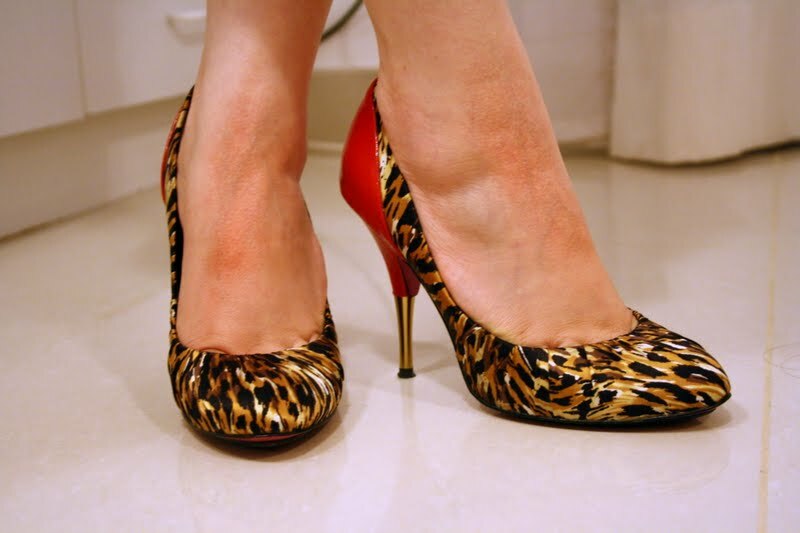 Every girl must have, leopard pumps by Betsy Jonson again ! 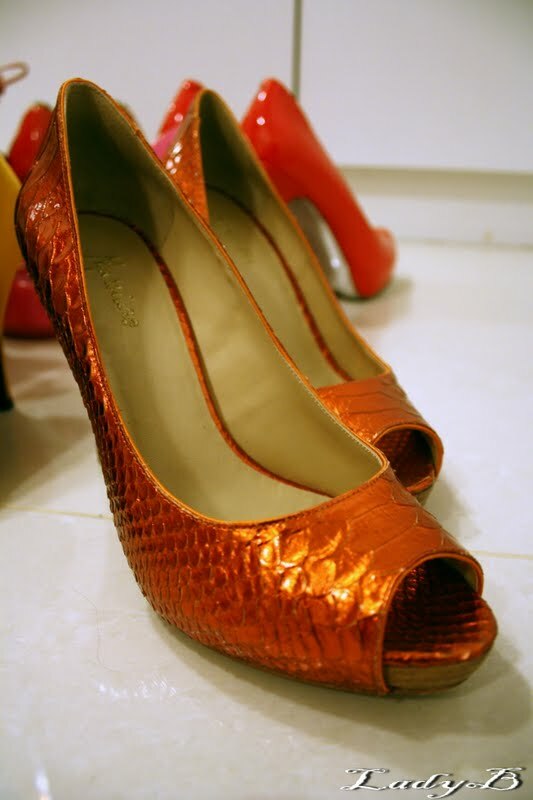 Marciano python peep toe pumps, the color is much better in reality ! 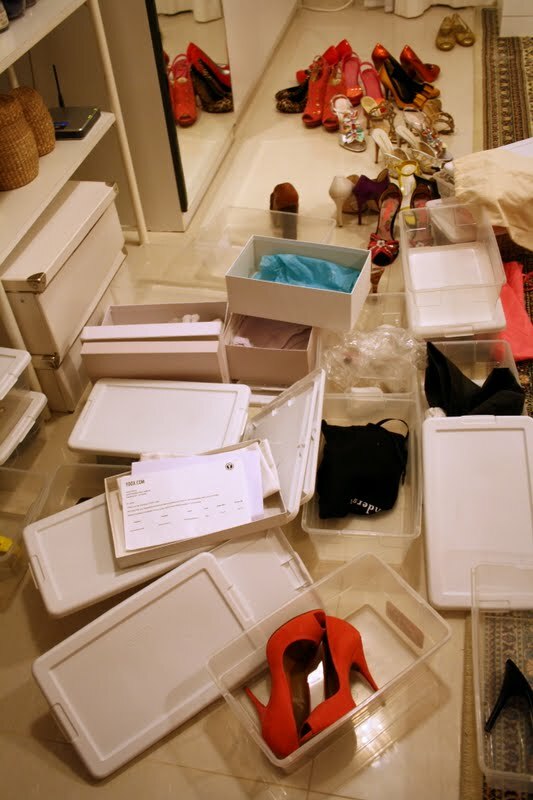 And then I left the shoe heaven messier ever after ! 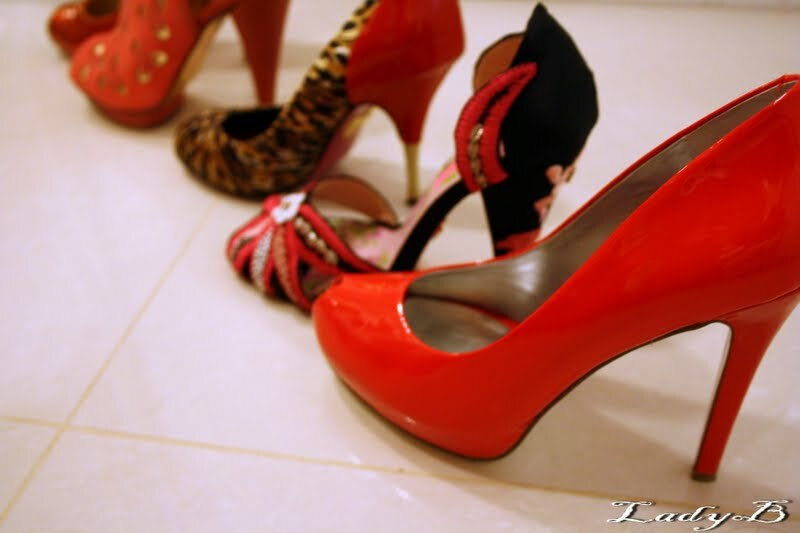 Thnx alot Laialy for allowing me to showcase your amazing shoe collection, I had a good time ! OMG ! 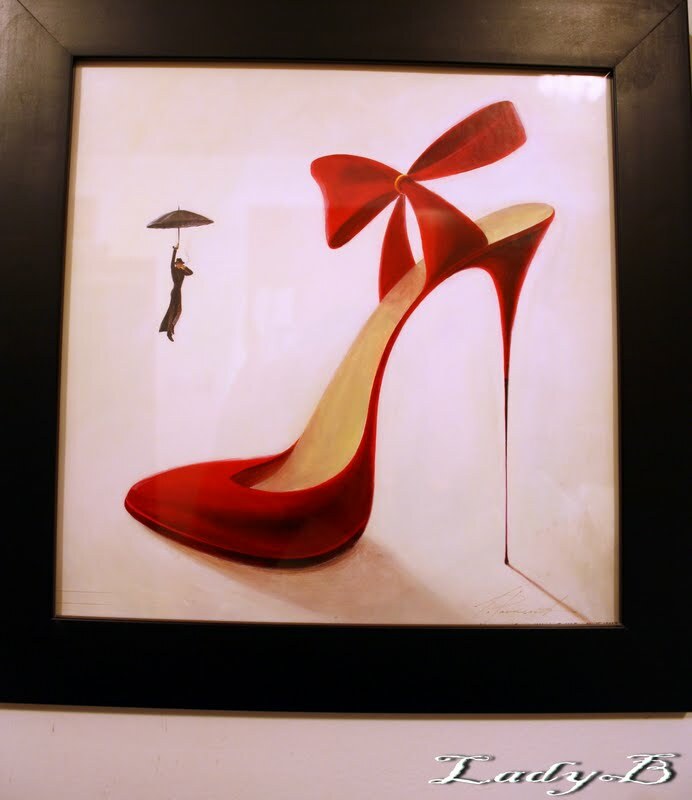 Most gorgeous shoes at one place ! 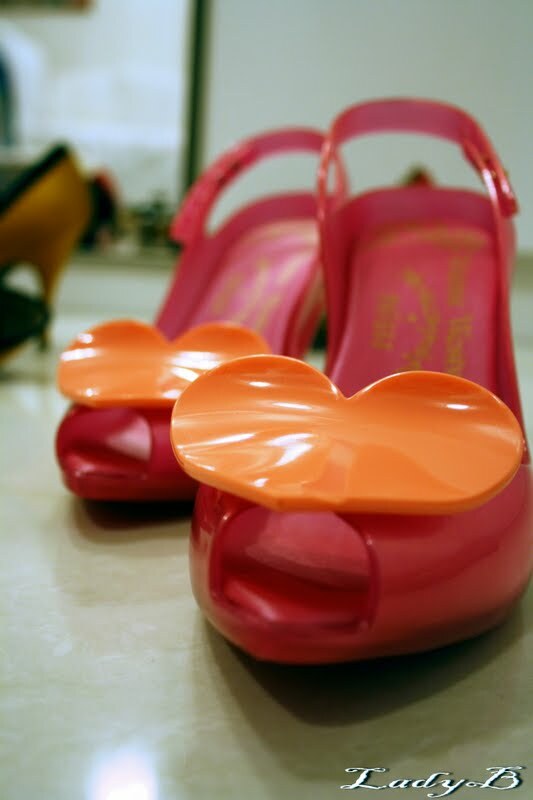 Satin Dolce & Gabbana pumps, coral platform booties and Melissa pumps are prettiest ! oh if only his could see this...he thinks I have too much shoes :p LOVED them all am so jealous !